A farmer has 17 sheep and all but 9 die. How many are left alive? 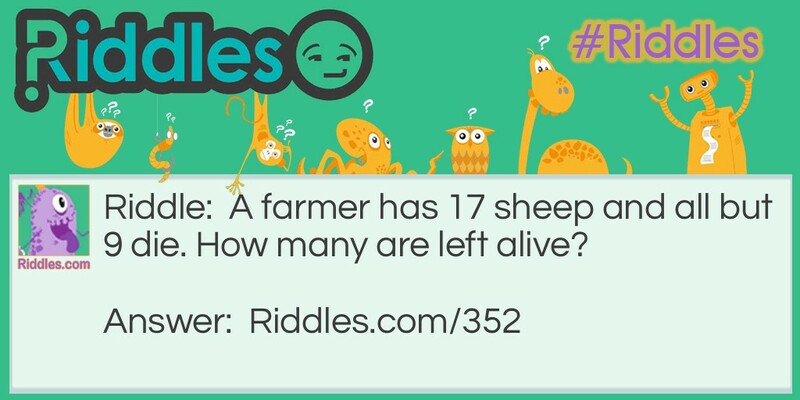 Dead Sheep Riddle Meme with riddle and answer page link.